You bought a new house and now, after several years have gone by, you have found defects in the construction. 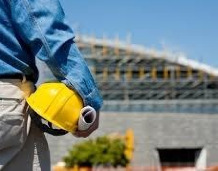 In the Construction Defect Litigation arena, homebuyers are armed with many theories of liability against the contractor to support their allegations of defective construction. One theory of recovery available to you is known as the Breach of the Implied Warranty of Good Workmanship. Under Arizona law, a contractor impliedly warrants that he will perform in a workmanlike manner even if the contract entered into with a homebuyer does not contain an express warranty of good workmanship. Arizona case law has stated that the policy reason behind the implied warranty is to protect innocent purchasers and hold builders accountable for their work. The basis for this protection of homebuyers stems from a contractor’s superior knowledge of his trade and the homebuyer’s lack of knowledge of residential construction standards and requirements. The claim for Breach of the Implied Warranty of Good Workmanship is governed by a six year statute of limitations. That six year time period commences upon the discovery of “latent” or hidden defects that would not have been discovered by a reasonable inspection of the home prior to purchase. A.R.S. § 12-552 limits the time period in which claims for Breach of the Implied Warranty of Good Workmanship may be brought. It generally provides that a cause of action for Breach of the Implied Warranty of Good Workmanship cannot be brought after the eighth year of substantial completion (nine years if discovered in the eighth year) of the residence depending on when the defect occurred or when it was discovered.